A gorgeous (and useful!) small jewellery box which is perfect for travelling. Shown here in a pale pink colour with the words 'Treasure Me' embossed on the front. 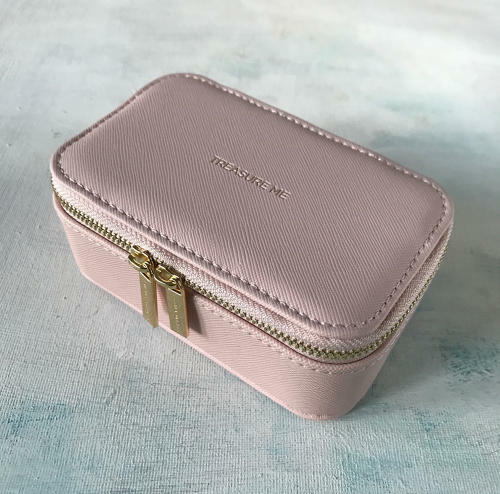 Lined with soft grey faux suede and designed with compartments to sort all your jewellery out.